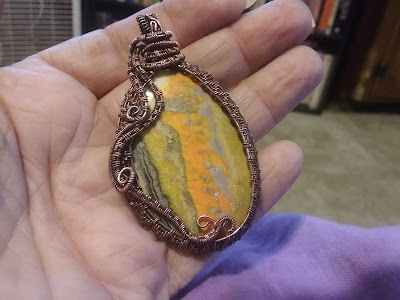 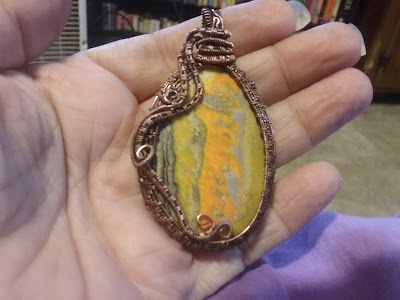 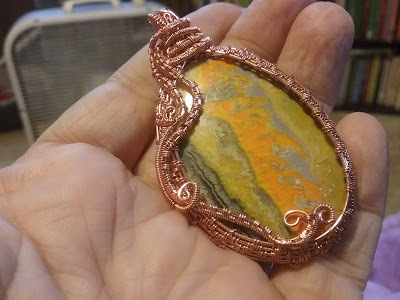 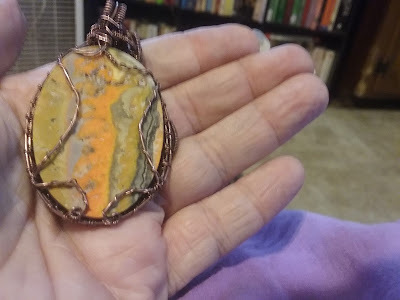 This week I'm sharing my wrap of a bumblebee jasper! Here's the finished piece before we get started. 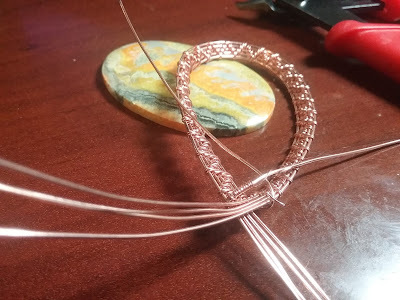 First I measured out about 30mm of copper and about 20 feet of weaving wire. I did a weave that reminds me of a sort of chevron pattern. I decided I was going to wrap the entire piece this way. 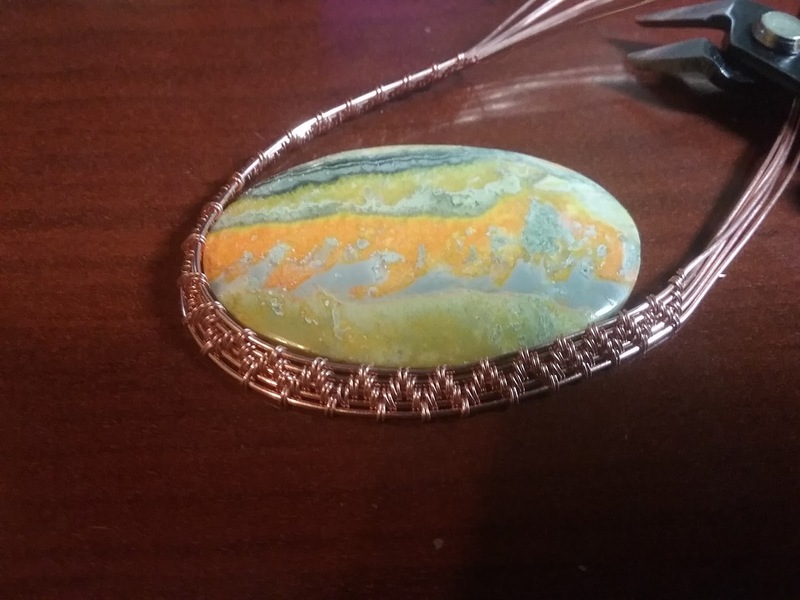 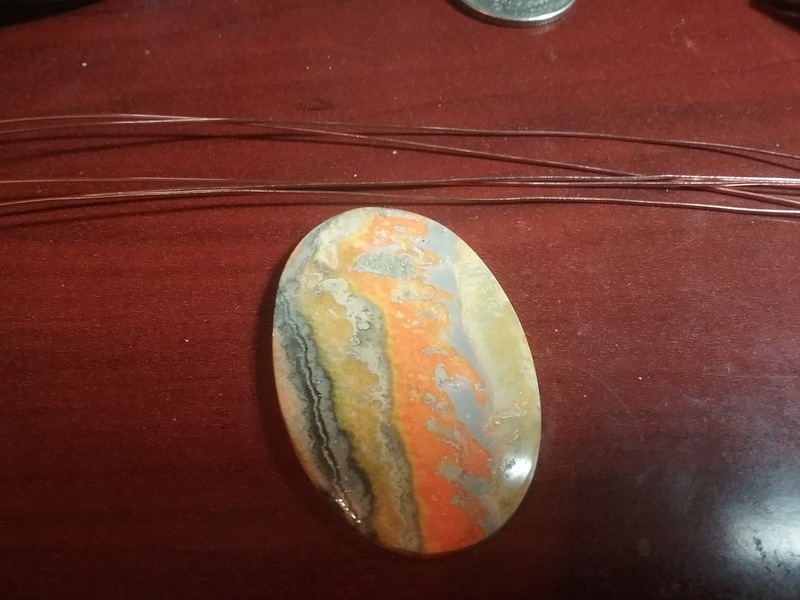 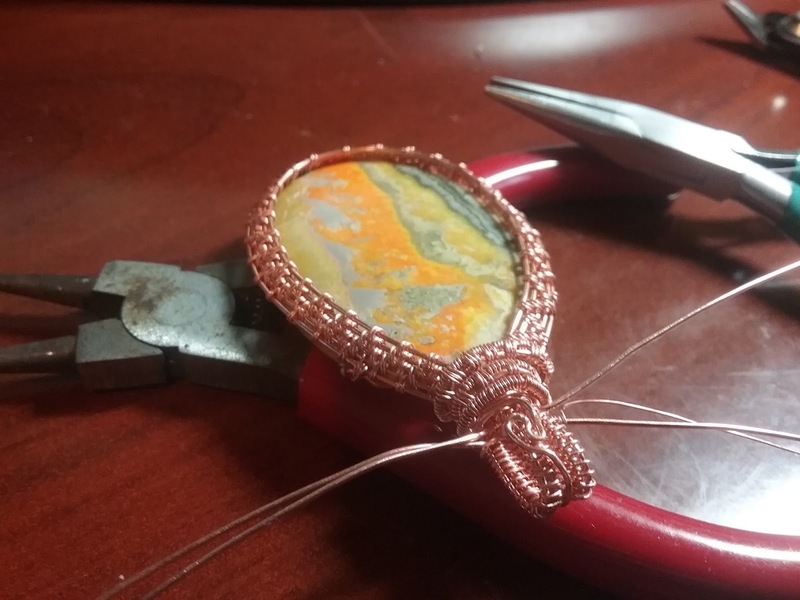 I then take two of the top wires and wrap them around the back in order to create a frame to hold the stone in the back. 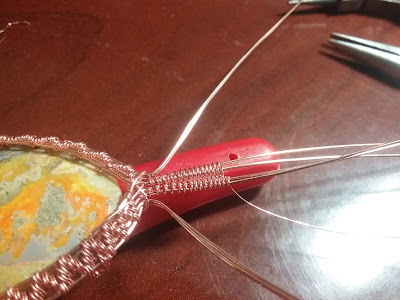 I use the weaving wire to secure the back to the front of the frame. 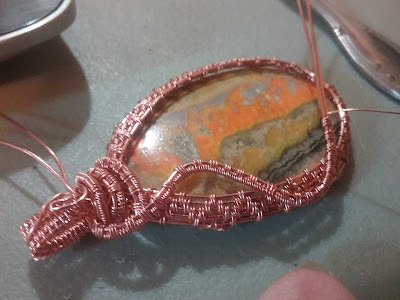 The stone will sit inside the the frame nicely. 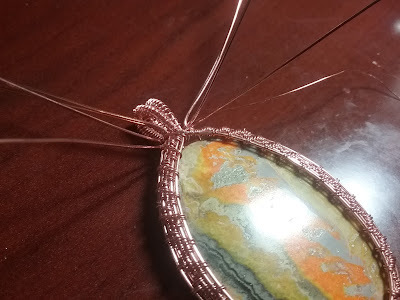 I then take the four center wires and create the bail. 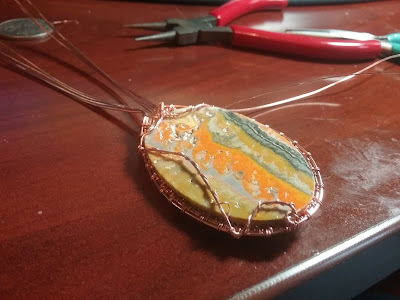 The six wires on the side will become the decorations on the side. I went with the basic three three weave for piece. 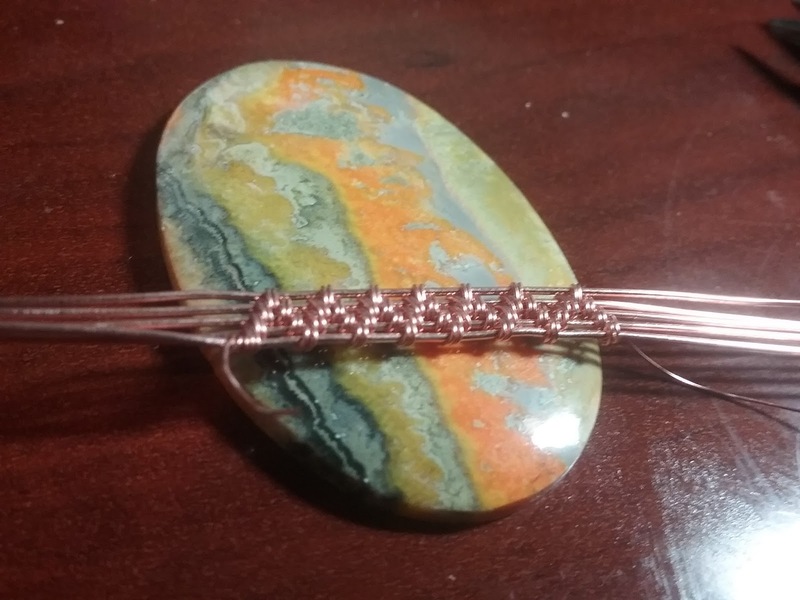 I then take the pieces on the top and create the weave to go down the side. Finally I attached the remaining decoration piece and prep for LoS. 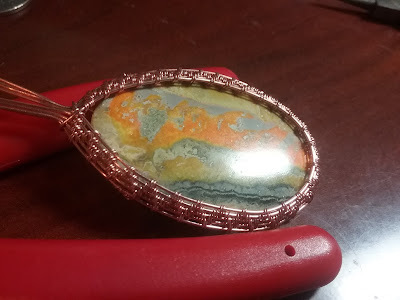 Here it is all finished after the Los has been applied.